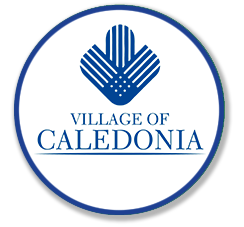 The Caledonia Sewer and Water Utility District (Utility District) provides sanitary sewer and municipal water to mainly the east and southern portions of the Village. The Utility District provides the municipal water to the Village of Wind Point, on a Wholesale basis. The Utility District owns and operates the sanitary sewer system in the Village of Wind Point. We also provide sanitary sewer service to 800 Mt. Pleasant residents that live on the Village of Mt. Pleasant’s northerly edge. The Utility District is a Wholesale Water customer to both the City of Racine and the City of Oak Creek, with 2/3 of our water being provided by Racine and 1/3 being provided by Oak Creek. The Utility District provides a wide variety of services to our customers and village residents. Not only do we provide sanitary sewer and potable water to our customers. The Utility District operates under strict guidelines set forth by the Wisconsin Department of Natural Resources, (DNR) and the Public Service Commission, (PSC) Both entities, DNR and PSC, review our operating practices on a regular basis. The Utility District prepares, annual reports for both entities on the Utility District Operations. In order to operate within the guidelines of the DNR and PSC, the Utility District, cleans 20% of our 165 miles of sewermains each year, when conducting the sewer cleaning we also evaluate each manhole for defects. Manholes are repaired accordingly to help eliminate clear water from getting into the sanitary sewer system, this is very important because the Utility District pays sewer treatment charges to the City of Racine, based on gallons. On the water side of the Utility District, it is our 24/7 goal to provide the residents of Caledonia, the safest water possible. Our system is monitored 24/7 for water quality. We have a very stringent water meter test program where every water meter gets tested on a regular basis for accuracy, similar to your gas and electric meters. We have a very current Asset Analysis of our entire water and sewer system, this report breaks down the age of our 125 miles of watermain, by segment. This report then allows us to plan for projects that need to be completed years into the future. One thing we get regular requests for is the adjustment of the water service shut off that is located in the front yard, by the road ditch. If someone needs the shut off adjusted, simply call us and we will come out, free of charge, during normal business hours, and adjust it to the proper level. These shut offs should be visible and operational, because if something would happen in your home, that would require the water be shut off, the Utility District would have quick access to shut the water off. The most common reason residents or businesses contact our office is to discuss their Utility bill. Another very common question that we are asked is when a resident or business is looking at purchasing a piece of property, is there sewer and water available to the property, if not where is it at and how much will it cost to get it to my property? Along with the question regarding cost, is what does it cost to connect up to the sewer and water system, what are the quarterly bill estimates and is it mandatory to connect? The Utility District has a Utility Clerk that receives the calls coming into the Utility District, she also handles any billing questions regarding quarterly bills. All other calls will be sent to the appropriate party within the Utility District to address. All phone calls that are received after normal business hours are returned the following day. The Utility District has a Utility Clerk that receives the calls coming into the Utility District, she also handles any billing questions regarding quarterly bills. All other calls will be sent to the appropriate party within the Utility District to address. All phone calls that are received after normal business hours are returned the following day. What should residents bring to a Utility District apppointment? Residents should make an appointments. Most questions can be answered by phone, however, it is always helpful if someone coming into the office with a sewer or water question brings a map outlining the area of their concern. With the map it will help us when we overlay our system map to the area of the concern and can speed up the resolution time. The Utility District Office is located at 333 4 ½ Mile Road, Racine, WI 53402. If you are driving to our office you would go east on 4 Mile Road, 1 Mile east of Douglas Avenue, to Erie Street, turn left, or North ½ Mile to 4 ½ Mile Road, then right, or East 3 blocks to our office.